At a time when the Lakers needed anything to stop the dive toward mediocrity, they relied on a trusty source who compiled a track record in bailing them out in tough situations. The man’s name is Kobe Bryant. You may have heard of him. He has won five NBA championships, climbed to fourth place on the league’s all-time scoring and sank too many game winning-shots to count. But the Lakers’ 129-122 overtime victory on Sunday over the Toronto Raptors at Staples Center went beyond Bryant providing his distinguishable scoring touch. He collected his 20th career triple double by posting 31 points on 11-of-24 shooting, 11 rebounds and 12 assists by basically doing everything. Incidentally, this coincided with Bryant becoming the first NBA player both to post 30,000 career points and 6,000 assists. Plenty instead have griped this season about Bryant’s shot selection. After all, he has led the league with 26.4 points per game albeit on only 38.8 percent shooting. Bryant’s deliberate approach toward increasing his around-the-clock treatment and strict diet juxtaposes when he scored a career-high 81 points eight years ago against Toronto after consuming pepperoni pizza and grape soda. But Bryant turned back the clock by playing his most efficient game all season. The things that keep Lakers coach Byron Scott agitated thus far involves the team’s worst start in franchise history, the team’s league-worst defense and endless injuries. Don’t lump Scott’s playing phone tag with Lakers Steve Nash as one of those categories, however. Scott revealed on Sunday he and Nash have still not connected on the phone since the Lakers ruled the 40-year-old guard out for the season in late October, their conversations amounting toward nothing more than periodic text messages. But Scott hardly sounded upset over this development. 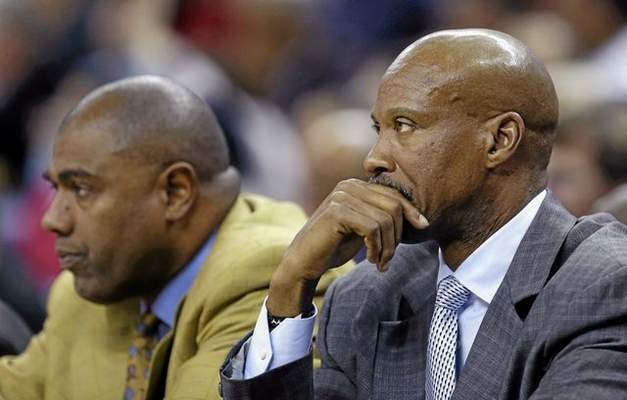 Lakers’ Byron Scott said lineup changes are coming, but when? Something appears looming on the Lakers’ itinerary. The timing has not become as definitive as the Lakers (3-13) hosting the Toronto Raptors (13-3) on 6:30 p.m. Sunday at Staples Center. But outside of tonight’s game, Lakers coach Byron Scott suggested that it’s only a matter of if and not when he will make lineup changes. But what Scott would not outline what exactly what he would do. He laughed when asked which positions he has thought about tinkering with, but he declined to specify. But after questioning the Lakers’ effort in their 120-119 loss on Friday to Minnesota, Scott has said he is “getting closer” toward making a shuffle in hopes of changing the Lakers’ fortunes that have entailed a three-game losing streak and a 1-8 home record. Scott also held out his lanyard, moving his fingers closer to each other to outline how his figurative “leash” has shortened. Lakers coach Byron Scott will adopt another approach to conserve Kobe Bryant without significantly taking away his presence from the team. When the Lakers (3-12) host the Minnesota Timberwolves (3-10) on Friday at Staples Center, expect Bryant to sit out toward the end of the first and third quarters so that he remains fresh in the fourth quarter. 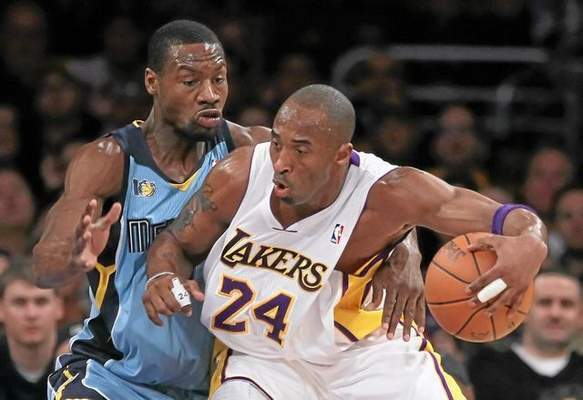 Bryant’s 35 minutes in the Lakers’ 99-93 loss on Wednesday to Memphis mirrored his season average. But Bryant sat out the final 1:47 of the first quarter and the last 1:30 of the third quarter after spending most games playing those periods in their entirety. 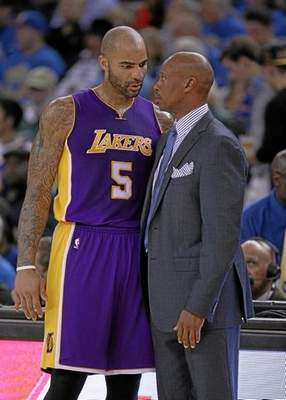 The question initially prompted Lakers Byron Scott both to lower his eyebrows and unleash a hearty laugh. How did Scott work out of his way of shooting slumps during his 14-year career? “What?! What was my percentage of my career?” Scott playfully teased, mindful that he shot a career 48.2 percent from the field. Scott also finished in the NBA’s top 10 in three-point shooting in four seasons, including 1984-95 (43.3 percent, 1st), 1986-87 (43.6 percent, 4th), 1988-89 (39.9 percent, 10th) and 1989-90 (42.3 percent, 5th). But even the most accurate shooters have off nights. The Lakers (3-12) sure could use the help after they have experienced the past two games shooting a combined 12-of-50 in the fourth quarters and one overtime period. Instead, Scott would channel his temporary shooting inaccuracy a different way. Scott has passed those suggestions along to his team, hopeful it will help them stop its offensive funk. The late-game shooting woes have extended to all of their scoring threats. 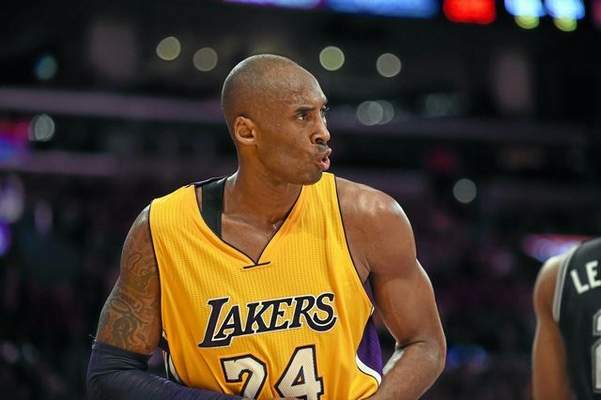 Lakers guard Kobe Bryant has shot a combined 5-of-19 in the past two fourth quarters and one overtime period. During that stretch, Lakers forward Nick Young went 1-of-9 from the field. Lakers guard Jeremy Lin also finished with only a 1-of-6 clip. Meanwhile, the Lakers have shot a combined 1-of-18 from three-point range. 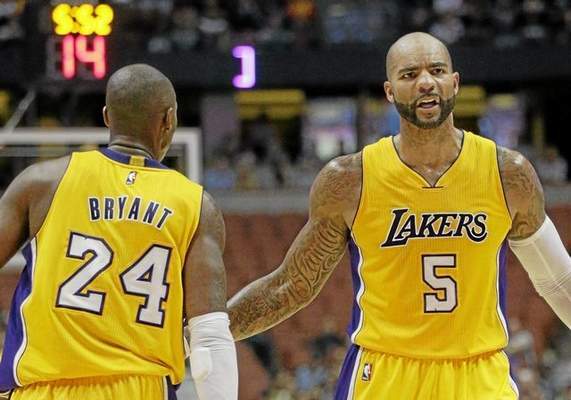 The Lakers will soon make their first move in adding players up an injury-depleted roster. 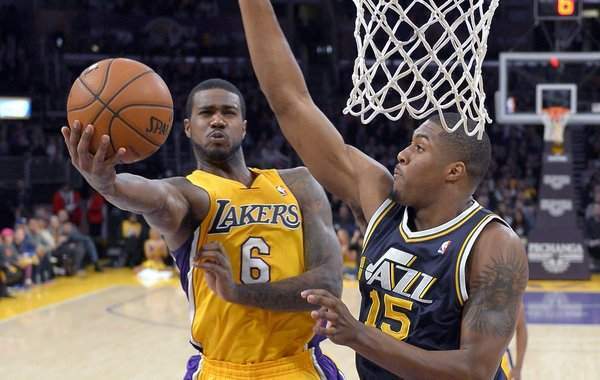 They have had “talks” to sign forward Earl Clark, according to a league source familiar with the discussions. Although it’s not clear when the deal will be finalized, the terms are believed to be a one-year guaranteed contract worth around $1 million. The move will reunite the Lakers with Clark, who had a breakout campaign in the 2012-13 season where he averaged a career-high 7.3 points and 5.5 rebounds after being acquired from Orlando as part of the Dwight Howard trade. Clark then signed with the Cleveland Cavaliers and has recently played for the Rio Grande Valley Vipers of the Development League, averaging 28.8 points. The Lakers (3-11) have suffered season-ending injuries to Steve Nash (back), Julius Randle (right leg) and Xavier Henry (left Achilles). 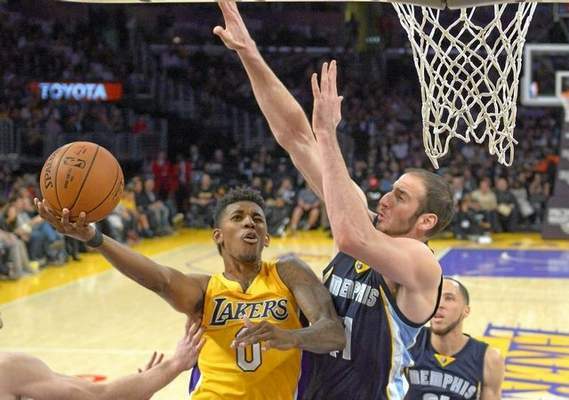 The Lakers are also without forward Ryan Kelly for at least the next five weeks because of a torn right hamstring. The NBA has granted disabled player exceptions both for Nash ($4.85 million) and Randle ($1.85 million), though those can only be used separately to acquire a player either through free agency or a trade. To accommodate Clark’s arrival,tThe Lakers could waive Xavier Henry, who would still be owed a guaranteed $1.1 million. Or the Lakers could wait until the NBA grants them a hardship exception. That tool grants teams the right to have 16 players on a roster when they field more than four players out with injuries. The Lakers could use that to add a player, though they would have to waive a player once Kelly returns to ensure a league-maximum 15-man roster. Only Wayne Ellington and Ronnie Price have nonguaranteed contracts, but their absences would deplete the team’s backcourt. Yahoo! 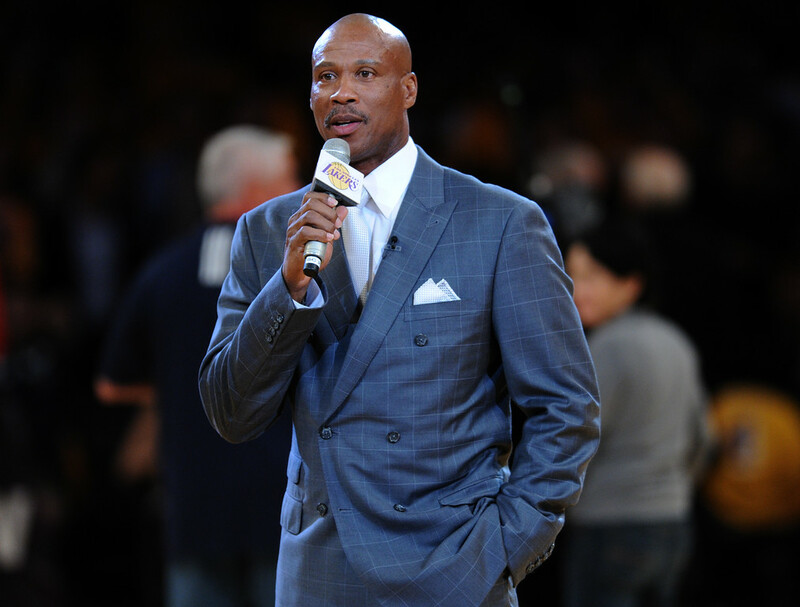 Sports first reported the Lakers’ efforts to reach a deal with Clark. Lakers coach Byron Scott had what he called a “state of the union meeting” recently with general manager Mitch Kupchak, but declined to go into detail on what came out of those discussions. Despite missing the past two practices because of respective left shoulder and right ankle injuries, both forward Carlos Boozer and Ed Davis are expected to play tonight when the Lakers (3-11) host the Memphis Grizzlies (12-2) at Staples Center. Boozer will start, while Davis will return back to his reserve role. Although Scott has often asked more on defense from Boozer, he has still averaged 13.3 points and 6.5 rebounds through 13 games. Davis has become an energetic force as a reserve, averaging eight points on 62.5 percent shooting and 6.6 rebounds in 22 minutes. But he struggled filling in as a starter while Boozer nursed a sore left shoulder during the Lakers’ 101-94 loss on Sunday to Denver. There, Davis posted only four points on 1-of-3 shooting and five rebounds and fouled out in only 22 minutes of play. The Lakers are reeling with plenty of injuries. 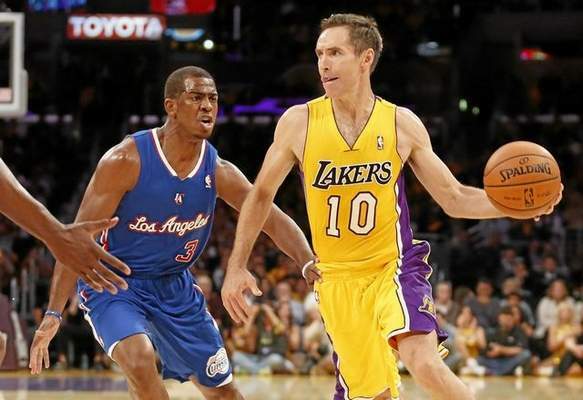 They have season-ending injuries to Steve Nash (back), Julius Randle (right leg) and Xavier Henry (left Achilles). Lakers forward Ryan Kelly also remains sidelined for at least five more weeks because of a torn right hamstring. The instant Xavier Henry fell down on the basketball court and ruptured his left Achilles during Monday’s practice, Kobe Bryant returned to another dark moment. It was only 19 months ago that Bryant tore his left Achilles tendon in a regular-season game against Golden State, an injury that sidelined him for the following eight months and damaged the Lakers’ playoff fortunes. 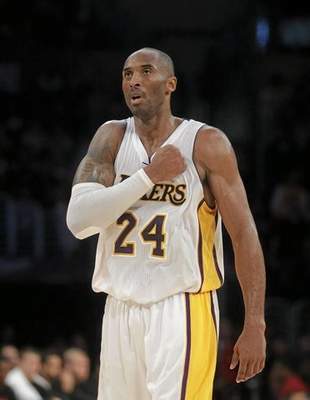 Bryant fell down as he drove toward the lane late in the fourth quarter of the Lakers’ eventual win on April 12, 2013 against the Golden State Warriors. Henry fell down during a non-contact drill of three-on-three during Monday’s practice. Henry then had surgery on Tuesday morning to treat an injury that will sideline him for the remainder of the 2014-15 season. It hardly mitigates the frustration or impact stemmed from Steve Nash sitting out the entire 2014-15 season because of recurring back issues. But the NBA awarded the Lakers with a $4.85 million disabled player exception that represents half of Nash’s salary slated to make this season. The Lakers can use that exception either to sign a player through free agency or a waiver claim worth that amount. Or the Lakers could trade for a player who is worth up to $4.95 million. The Lakers also have a $1.5-million disabled player exception for rookie forward Julius Randle, who broke his right leg in the season opener and will miss the remainder of the season. Yet, it is currently unclear if the Lakers will actually use these spending tools that expire on March 10, 2015.